Samsung too is suspected to release its phone during December and in all probability will directly compete with Huawei Nova 4. Huawei managed to keep three of the bezels fairly small, though theres a bit of a chin at the bottom. The promo image also states that the device will launch on december 10 at an event in China. While Huawei Nova 4 is launching on 17th December, Samsung Galaxy A8s is launching on 10th December. Many believed the company would begin to launch those newly designed phones in early 2019, but to everyone's surprise, Samsung is now ready with a commercial model. The Nova 4 is set to feature a notch-less display notably with the front camera being placed on the upper left side of the display. And there's another difference - unlike Samsung's S10, the Huawei Nova 4 is unlikely to be sold in the U.S. While in theory Samsung could be developing a different device for the United States carrier, it's much more likely that the phone both companies are talking about is none other then the 5G Galaxy S10, which is to be officially unveiled at MWC 2019 in February. However, YouTuber Dave Lee came up with some stunning Galaxy S10 renders based on existing rumors and leaks to show us what the phone may look like. The sole selfie camera here is expected to be coupled with a triple rear-camera setup as more sensors are now becoming the norm. 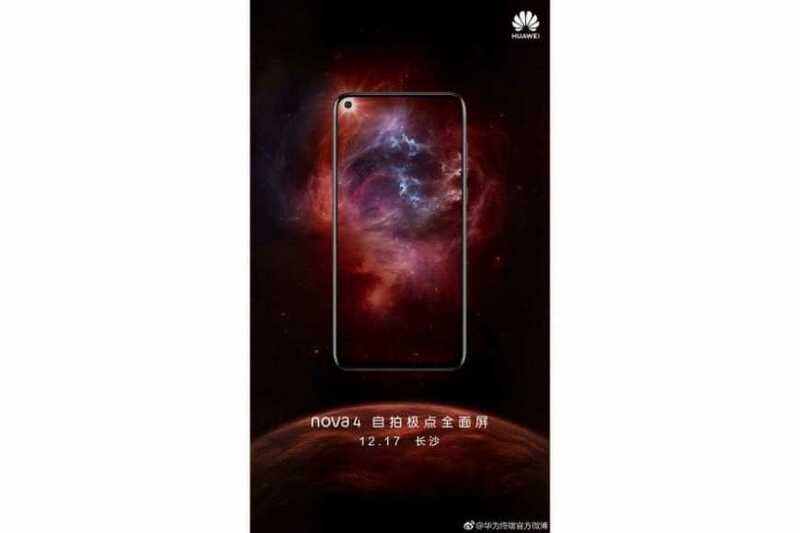 The photo shows that the novelty will receive wide display with dual front-facing camera and a fingerprint scanner, reports the online edition of the Chronicle.info with reference to the Correspondent. It doesn't end there, because some major MVNO (virtual networks) that piggyback O2 signals are experiencing the same disruption. O2 issued the following statement on its website : "Our technical teams are investigating reports of issues when using data".